The Esprit de Corps Veterans Health Foundation (dba "Veterans Health Foundation") is a 501 (c) (3) non-profit public foundation organized in September 2013 to support the federal government by providing services and facilities that are designed to increase seven Veteran "Health" post-service metrics as stated in our mission. The foundation functions to create Health through a principled comprehensive review of funded published research and annual reports that expound on relevant healthcare practices or proclaimed empirical evidence of results. We use this knowledge to conduct a global, comprehensive review of these materials to answer a battery of key questions that produce measurable metrics and situational awareness of environmental concerns. A formal environmental assessment gives us a roadmap we use to develop new research goals and strategically-focused deficiency solutions in environments conducive to their whole person reintegration with family, community, and self. 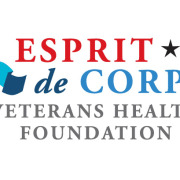 Would you recommend ESPRIT DE CORPS VETERANS HEALTH FOUNDATION?